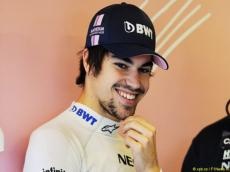 Racing Point Force India has finally confirmed Lance Stroll's expected move to the team to partner Sergio Perez in the 2019 Formula 1 season, according to Autosport. Stroll graduated to F1 with Williams in 2017 as the reigning European Formula 3 champion and continued with the team this year. His father Lawrence led the consortium that bought Force India's assets after it fell into administration, leading to the team's reincarnation as the Racing Point entry. Stroll's move from Williams became a formality after that but Force India wanted to wait until the future of Esteban Ocon, who Stroll will replace, was confirmed. Ocon's Mercedes' reserve driver role was announced ahead of last weekend's Abu Dhabi Grand Prix but Force India opted not to make any communication about Stroll. The 20-year-old drove for the team for the first in the two-day post-race race tyre test, and his "long-term deal" as a race driver was confirmed on Friday afternoon. Stroll scored a best finish of third, in the 2017 Azerbaijan GP, at Williams.